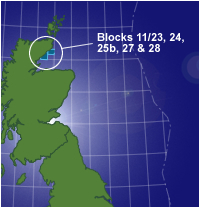 The Lybster Field was discovered in 1996 by well 11/24-1 some 3.5km off the Caithness coast. This well drilled a well defined 4-way dip closure and tested 36 deg API oil at over 2000bopd from the Beatrice Formation. 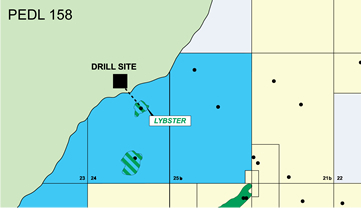 Development of the Lybster Field from the onshore will recommence in 4th Quarter 2009 with a sidetrack to the 11/24-3z.This will be completed as a producer in 2010. Reach has a 35% interest in this licence P1270 and has licensed the adjacent onshore acreage PEDL158.